Our expertise can be discerned by reading our professional publications from a variety of peer-reviewed journals, including Journal of Animal Ecology, Journal of Biogeography, Ecology and Evolution, Canadian Journal of Fisheries and Aquatic Sciences, Transactions of the American Fisheries Society, BioScience, Marine Ecology Progress Series, Estuarine, Coastal and Shelf Science, North American Journal of Fisheries Management, Hydrobiologia, Epidemiology, Ecotoxicology, Fisheries, Environmental Biology of Fishes, The American Midland Naturalist, Urban Ecosystems, Environmental Science and Technology, Journal of Freshwater Ecology, Environmental Pollution, International Journal of Environmental Research and Public Health, Journal of Environmental Monitoring, and Biology and Philosophy. 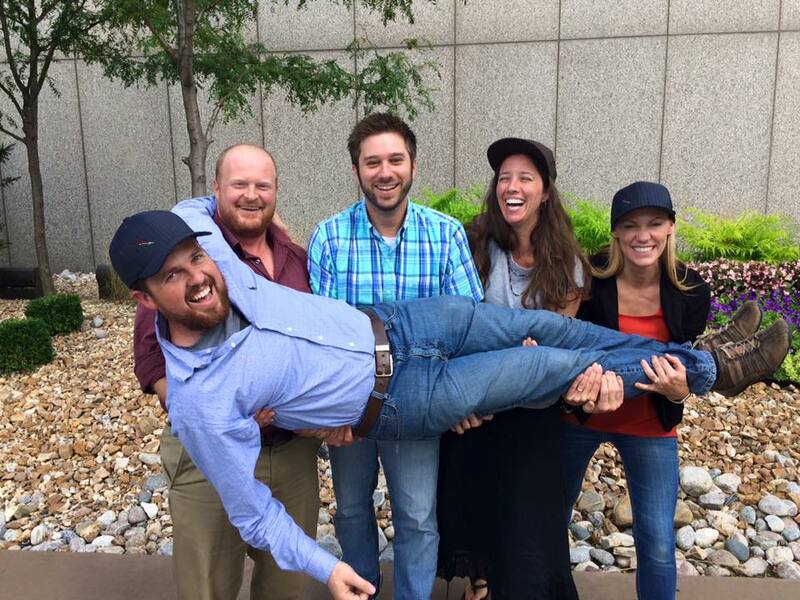 Dr. Steve Midway, Patrick Cooney, Dr. Dana Sackett started The Fisheries Blog in 2011 while students at North Carolina State University. The group has since grown. 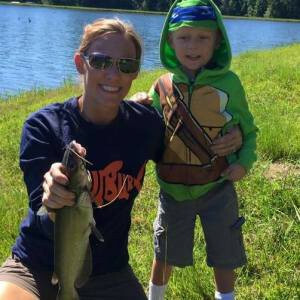 Dr. Dana Sackett fishing with her son. Dana received her B.S. in marine biology from The Richard Stockton College of New Jersey. This degree was followed by an M.S. in biological oceanography and fish ecology from Rutgers University examining summer flounder habitat use and migration dynamics using acoustic telemetry. Dana completed her Ph.D. in biology with a minor in ecotoxicology at North Carolina State University exploring mercury contamination in fish across North Carolina. After completing a short postdoctoral position examining endocrine disruptors in North Carolina waters, Dana took a postdoctoral position at the University of Hawaii examining deepwater MPA efficacy and sources of bioavailable mercury to Pacific bottomfishes. 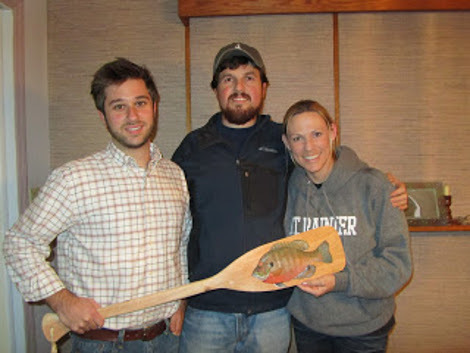 More recently, Dana and her family have moved to Georgia, where she is now a postdoctoral researcher at Auburn University’s School of Fisheries, Aquaculture, and Aquatic Science examining red snapper fisheries management. Dana plans to take advantage of postdoctoral positions for the forseeable future as these positions fit her transient military spouse lifestyle. 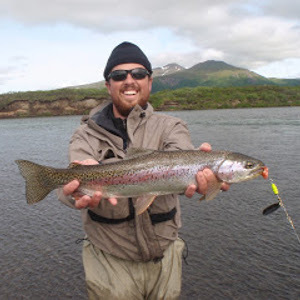 Patrick Cooney fishing in Alaska. After getting a start in marine environments, Patrick Cooney’s recent research focuses on both cold and warm freshwater systems. He received an undergraduate degree (Bachelor of Science) in Marine Sciences from the University of Miami followed by a masters degree (Masters of Fisheries and Aquatic Sciences) from the University of Florida. After completing seven years as a Research Scientist studying the impact of dams on migrating stream fish populations in Puerto Rico, he conducted research in North Carolina studying movement, survival, and feeding habits of mountain trout populations. Patrick most recently moved to the Pacific Northwest to instruct fisheries scientists on the principles of effective and safe field research, while also inventing equipment and conducting research to improve scientific fish sampling techniques. He has research experience in Australia, Mexico, Guatemala, Bahamas, Puerto Rico, New Zealand, Canada, and 15 of the United States of America. Steve graduated from the University of Vermont with a B.S. in Wildlife and Fisheries Biology. Experience on Lake Champlain as a fisheries technician and with the USGS Co-op in Vermont led to an M.S. at North Carolina State University, where his research focused on an endemic, imperiled stream fish. Shortly after, Steve made the jump to marine fisheries and completed a Ph.D. at the University of North Carolina Wilmington studying population ecology of southern flounder. He is currently working as a postdoctoral researcher at Pennsylvania State University. 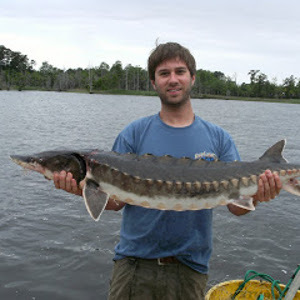 Brandon is an assistant professor of fisheries and aquatic sciences at Clemson University. He earned MS and PhD degrees from Virginia Tech and a BS from Arkansas Tech. He worked as a postdoc at Purdue, and as an aquatic ecologist for the Arkansas Department of Environmental Quality between graduate degrees. His researches a variety of ecological and conservation/management issues for freshwater and diadromous fishes, and teaches undergraduate and graduate courses at Clemson. Abigail (Abby) Lynch is a research fisheries biologist with the U.S. Geological Survey’s National Climate Adaptation Science Center**. 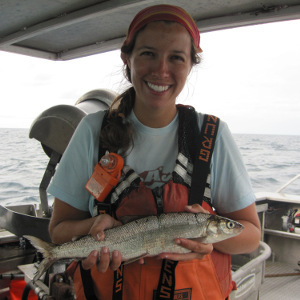 Working primarily in inland systems, Abby’s research examines the impacts of global change on fish at local, national, and global scales using field-collected and remotely-sensed data. She received her Ph.D. in Fisheries and Wildlife at Michigan State University on climate impacts to Great Lakes Lake Whitefish, M.S. in marine science on Atlantic Menhaden population genetics at the Virginia Institute of Marine Science, College of William & Mary, and B.S. in biology and B.A. in English literature from the University of Virginia. She also served as a Knauss Marine Policy Fellow with the U.S. 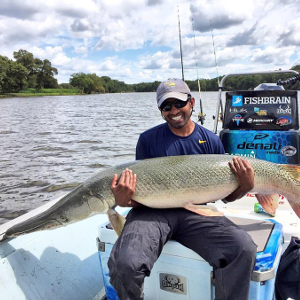 Fish & Wildlife Service’s Fisheries Program. An avid fan of “primitive fishes” and advocate for native fishes conservation, Solomon strives to effectively communicate science to both the research community and general public. He received his B.S. in Biology from Ohio Northern University, followed by an M.S. and Ph.D. from the University of Michigan School of Natural Resources and Environment. 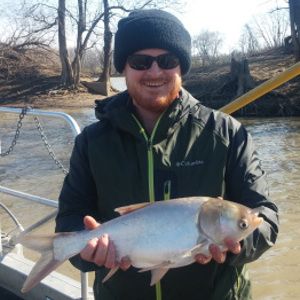 His graduate research focused on conservation ecology of Great Lakes fishes, including projects on Lake Trout, Chinook Salmon, and Spotted Gar. Solomon has also conducted postdoctoral research in fish ecology at Shedd Aquarium, U.S. Geological Survey, and Michigan State University. He now serves as assistant professor of biological sciences at Nicholls State University where he continues his research at #GarLab. 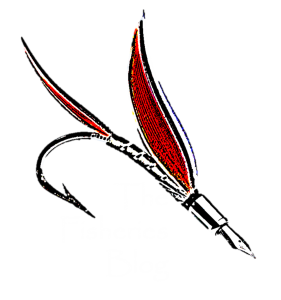 ** Please note that the views expressed in The Fisheries Blog are solely those of the authors who wrote them and do not necessarily reflect the views of the U.S. Geological Survey, which makes no representation on the accuracy of opinions expressed in this blog.